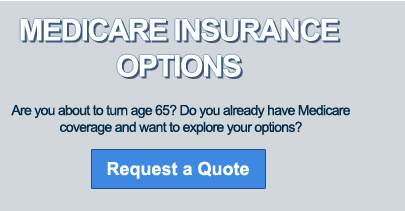 WELCOME TO CHOICES FOR MEDICARE! In 1965 President Johnson enacted Medicare so all Seniors would have the opportunity to obtain affordable health care. There have been many improvements over the years. 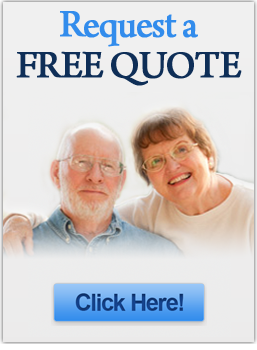 Medicare is a Federal health insurance program for those who are aged 65 and over. Those who receive Social Security Disability and some with certain chronic illnesses and End Stage Renal Disease may also qualify The Centers for Medicare and Medicaid Services (CMS), a part of the Department of Health and Human Services (HHS), administers the Federal Medicare Program. The Social Security Administration is responsible for determining eligibility and processing premium payments for the Medicare program. You should enroll into Medicare through the Social Security Administration. Helps to cover inpatient care in hospitals, including critical care hospitals, and skilled nursing facilities. Part A also covers hospice care and home health care. This is not blanket coverage; certain restrictions may apply to receive some of these benefits. Helps cover outpatient medical services like outpatient doctors’ services, and certain other medical services that Part A does not cover. Part B covers medically necessary services. Part B also covers some preventive services. Medicare Part B has deductibles and coinsurance. The cost sharing amount may change each year. formerly known as Medicare + Choice, Part C is now known as Medicare Advantage. If you are entitled to Part A and enrolled in Part B, you are eligible to enroll in a Medicare Advantage plan, provided you live in the plan's service area. There are several types of Medicare Advantage Plans. Visit our Medicare Advantage page for more details. 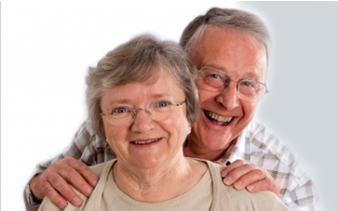 Medigap health insurance policies are designed to supplement the Original Medicare Plan. These policies help pay for most of the health care costs that Original Medicare does not cover, such as deductibles, co-pays or co-insurance. Supplement plans are offered through private insurance companies. Underwriting guidelines vary depending on your state. In some states, Medigap policies may be purchased at any time of the year. Medicare supplement plans will have a monthly premium and provide coverage for health services only. You will want to purchase a separate Part D plan if you require prescription drug coverage. This type of plan provides the most flexibility and least restrictions while providing Nationwide coverage. Visit our Medicare supplement page for more details. Was created under the Medicare Prescription Drug, Improvement, and Modernization Act of 2003 to help cover the costs of prescription drugs. Part D coverage is offered by private companies contracted with Medicare through stand-alone plans or through HMOs, PPOs, and PFFSs for those who have a Medicare Advantage plan. Anyone who has Original Medicare or Medicare Advantage is eligible to enroll in Part D. Enrollment in Part D is voluntary. Visit our Medicare Part D section for more details. You will have at least one chance each year to make changes to your Medicare coverage. You can signup for a Medicare Advantage Plan from October 15—December 7 every year. You can also decide to drop your Medicare Advantage Plan and return to Original Medicare at this time, or join a different Medicare Advantage Plan if you’re already in one. If you make a change during this period, your new coverage will begin on January 1 of the following year. Also, if you’re in a Medicare Advantage Plan,you can leave your plan and switch to Original Medicare from January 1—February 14. If you switch to Original Medicare during this period, you will have until February 14 to also join a Medicare Prescription Drug Plan.You should compare the different costs and coverage benefits of the Medicare Advantage Plans in your area, and make sure you understand any rules or limits that apply. There’s no penalty if you don’t join a Medicare Advantage Plan when you’re first eligible. Be sure to choose the Medicare insurance plans that will fit your specific needs. Please feel free to use the resources on this site to your advantage. You may also use our toll free helpline to speak with on of our licensed representative to answer any questions that you may have.